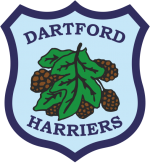 Jason joined Dartford Harriers in 1979 after being introduced to the club by his mother who had been the women’s club captain during the 1950’s. He has been a member ever since. 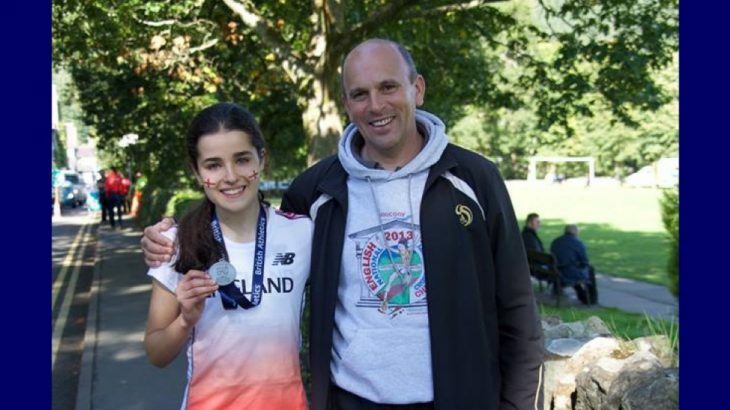 During his competing days he was a sub 2 minute 800 metre runner, Kent champion over the 3000mS/C and represented Kent over 800m in Portsmouth in 1996. He was coached and mentored at DHAC by Reg Wilson. How long have you been a coach and what made you start? I first qualified as an athletics coach while serving in the British Army on 3 May 1985. It was an intense week long course at the Army PTI centre in Sennelager, Germany and much harder than any UKA course that I have taken since. It included a 2 hour exam at the end which I was pleased to score the highest markings of all those on the course. For many years at DHAC I was coached by Reg Wilson who was a great coach and I was his right hand man, his assistant coach. He always encouraged me to improve myself as an athlete and as a coach so when he retired I took over coaching his group. It seemed like a natural progression but without Reg’s belief and confidence in me I would never have taken on the responsibility. What disciplines do you coach? I coach mainly endurance running, however I have worked in the past with sprinters and do like the technical aspects of sprinting which is far more complicated than most people would believe. What’s the best and worst thing about your training group(s)? The best thing is their enthusiasm to improve. Every single one of them wants to achieve and they work very hard to try to reach their goals. I was so pleased that this winter so many of them represented Kent at the SE inter-counties, it was a real achievement for them. The worst thing is the worrying that I haven’t given enough time/commitment to each of the athletes as they head into events. I try to ensure that all my athletes are fully prepared when they go to any event but I am always concerned that I have ignored something in the build-up. There are also times when I have to give more time and input to certain athletes and so others may feel neglected. I never want any of them to feel that I have neglected their coaching in any way. Tell us about a typical training session and what you do with your group? This depends on what time of the year it is but all year every session will start with a warm up followed by running drills, then the training session itself, afterwards some strides, a warm down followed by the most important part of training, post training stretches. During the winter the majority of our training sessions are road and cross country runs varying from 2.5 miles to 7.5 miles but there is always the fortnightly evil track session such as 5 x 400m, followed by a 1000m and then 5 x 400m. During the spring/summer we really inject more speed work and the early weeks can be brutal but very rewarding. A typical mid-season track session will be 3 sets of 5 x 300m with only 30 seconds recovery between the reps. I try each year to do two training trips with the athletes, one at Easter to somewhere warm like Portugal and one prior to the cross country season to somewhere cold and wet like Wales. Both trips are great fun and really help the athletes to bond as a group, but are also hard work and particularly useful in the development of the athletes running shape. Oh that’s a difficult one. I grew up at a time when Coe and Ovett seemed to break world records every other week and I was in awe of them both and have been lucky enough to meet them both. I find it very hard to choose between them that is why if I was asked to pick an individual I can’t pick either of them and have to say the Australian athlete Herb Elliott who won the 1960 Olympic 1500m title. He was never beaten over the 1500m or the mile throughout his career. He was an incredible competitor who even when he was out of shape would refuse to be beaten. And when you’re not coaching, what do you like to do? I like to play golf and cricket but never seem to get enough time to do either as my coaching takes up a lot of time. I also like to go and watch Spurs play every now and again. Finally, what is the best advice you could give to an athlete? If I was to add to his good advice I would include the importance of building a great support team around you to help you achieve your goals. You will never get anywhere without the support of your parents, family, athletics coach, sports masseuse, physiotherapist, s & c guru etc. and most importantly the understanding of your girl/boyfriend. Oh and Football and Running do not mix, so don’t play football.